If there is one thing I have A LOT of- it is handmade paper! Painted paper, messy paper, stamped paper, Lucy's scribbled paper, doodled paper- you name it I have it because I rarely throw anything creative away! So since Valentines Day is around the corner I wanted to put all my paper to use to create some fun little paper hearts! 1. I gathered up all of my favorite papers. This was the perfect opportunity to use the huge stash of Lucy's drawings that we have saved! 2. 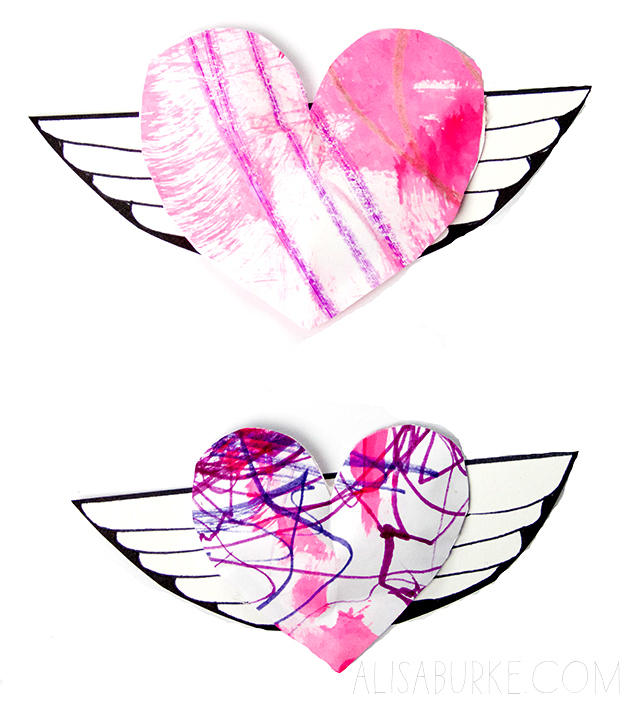 Next, I cut out hearts with two sides (front and a back). 3. 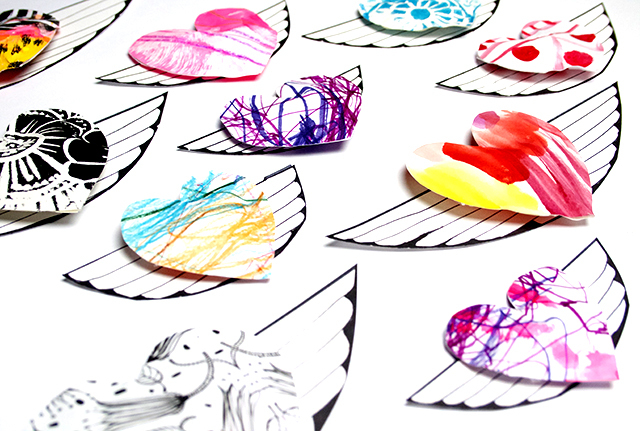 Then I created simple little wings from card stock. 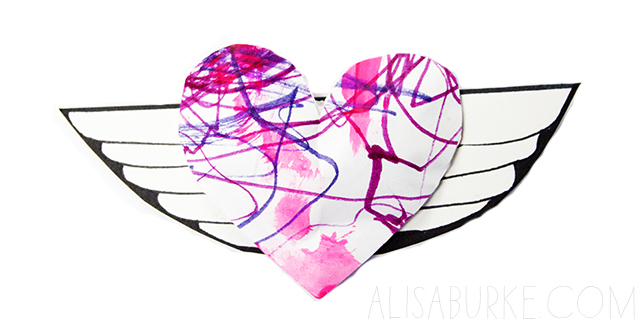 The last step was to glue around the edges, the front and back of the heart with hot glue and leave an opening. I stuffed the paper heart with a little bit of stuffing and then glued the opening shut. 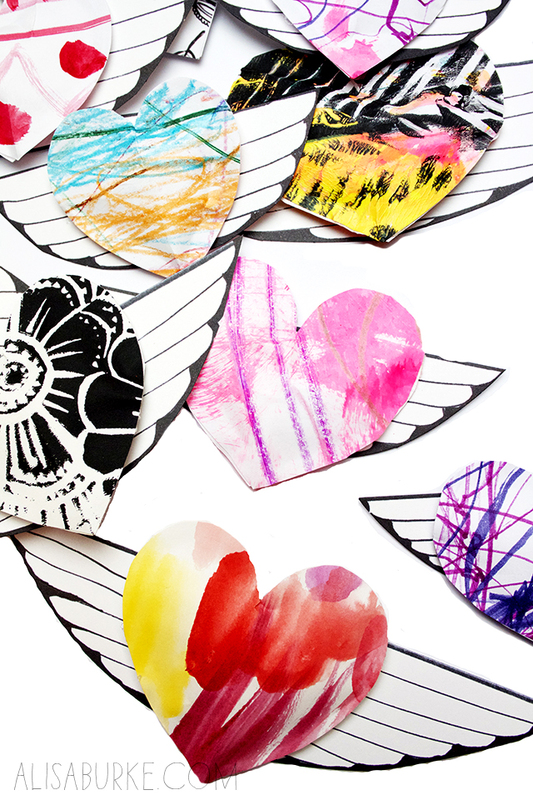 The result is a colorful little stuffed paper heart with wings- perfect to slip into a pocket, a lunch bag or an envelope! What a brilliant way to save your daughter's drawings! 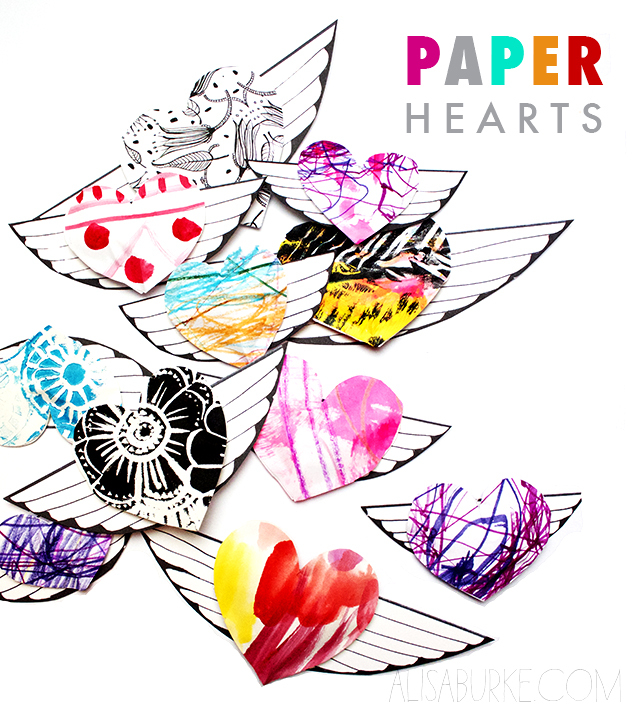 love this tutorial - the hearts are adorable and what a great use of handmade papers!